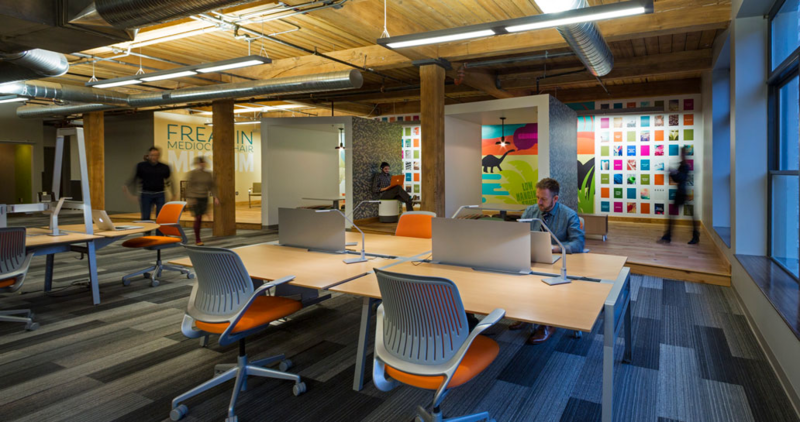 When you picture the typical office space, what do you see? If you instantly envision fluorescent lighting, cubicles, offices, and conference rooms, you’re not alone. After all that’s what almost every office looks like (think “The Office”). 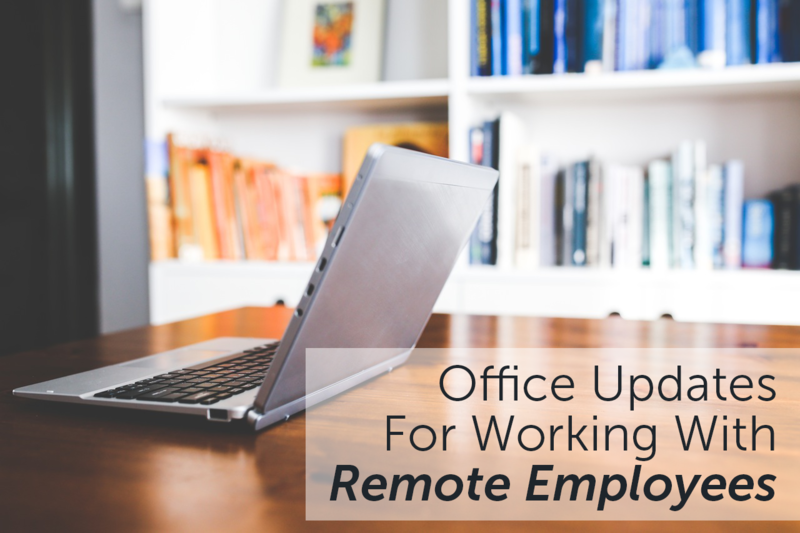 But with the rapid growth of remote employees, the traditional office has become a thing of the past. Today we live in a world of flexibility and interconnectivity. In fact it is expected that by 2020, more than half of the full-time workforce will be working remotely. That’s a pretty staggering statistic, and it showcases the need to update your office environment and technology to be able to accommodate any remote workers you currently have or will have in the future. The reality is that for many employees, their home is their office space and their office space is their home. A comfortable, up-to-date work environment is a key to remote employees feeling engaged and a part of the team. So if you have teammates working from home, invest in them. Provide them with the necessities they need to achieve success. Items such as an ergonomic office chair, laptop, dual monitors for multitasking, and a webcam are essential in this connected era for your virtual workers to perform their daily tasks. VPN technology is also a vital way to enable your remote team to be portable and still respond to internal and external needs. Phone solutions such as Grasshopper give your remote employees the ability to make calls from anywhere, turning their home office into a responsive workstation. 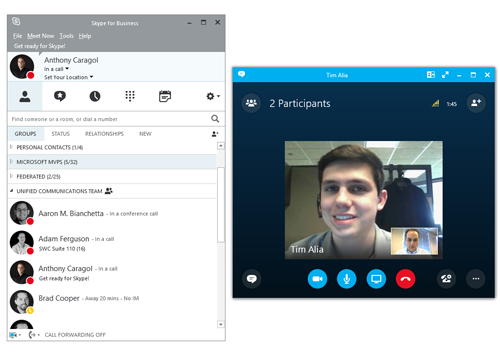 While some remote team members may have their own hardware, software and equipment, the best solution for your business is to provide these staple items for them. It reduces security risks for your business and makes sure all employees have up to date tools and gear to do an stellar job. Also, don’t forget about those softer items such as company swag, team photos, wall art, lamps etc. The more your employee can feel like a part of the office the better chance you have for success together. If you are unclear about what gear you should provide to your remote employees, think about the workforce in your office and all of the tools and resources they need day in and day out to excel at their jobs and feel connected to the team. It’s important to make your virtual teammates feel like they are part of the community at work. Studies show that 9 out of 10 remote employees cite that video helps them feel more connected to their colleagues. Plus, it can provide a huge advantage when trying to gauge non-verbal reactions to important decisions and changes within the business. 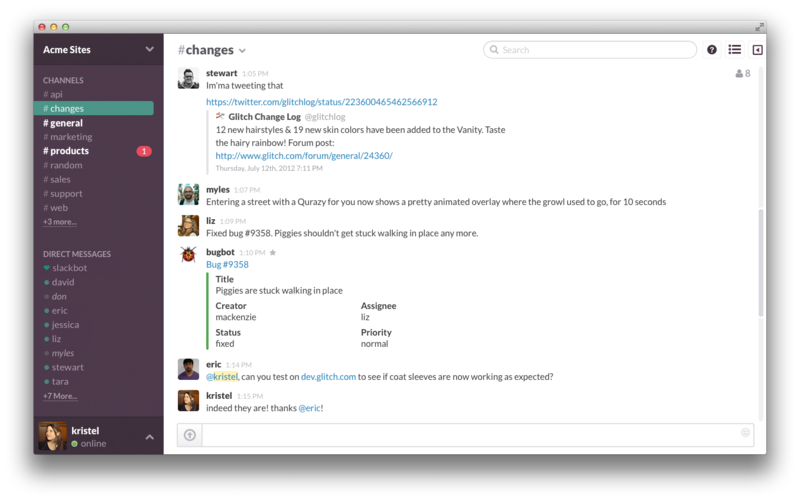 This helps remote workers feel more like a part of the team and less like they’re off working entirely on their own without anyone to talk to. It can also give a personal touch when you need to give them a high five for a job well done, share important activities, and even discuss recent news or upcoming weekend plans. The beautiful thing about technology is that it can keep teams connected, no matter where they are or what kind of device they’re using. There are a number of helpful tools and apps designed to ensure your remote employees are in sync with the rest of the team. Here is a great list from Buffer. With technology giving teams the ability to stay connected 24/7, make sure to respect your remote employees by valuing their private time and refraining from those 10 PM chats. One of the most important factors for remote employee success is keeping everyone on the same communication page. That can be a real challenge with outdated tools such as spreadsheets and sticky notes. To improve communication, leverage a CRM to keep all sales, marketing and customer data in sync. By using an online customer relationship management system everyone gains access to critical information whether in the office, at home, or on the go. Another big advantage of having everyone in the same CRM is that it allows for your remote employees and your team in the office to work towards the same goals-keeping track of progress and performance. If you don’t already have a “visitor desk” available, create it. Even when employees exclusively work from their home, they may need to (or even want to!) visit the office on occasion to get face time with their fellow employees and/or to attend meetings in person. While they’re visiting, they’ll be thrilled to have a space to call their own for the day/week. Another way to make your employees feel like welcomed is to move to an open-team plan that provides workstations and team offices. 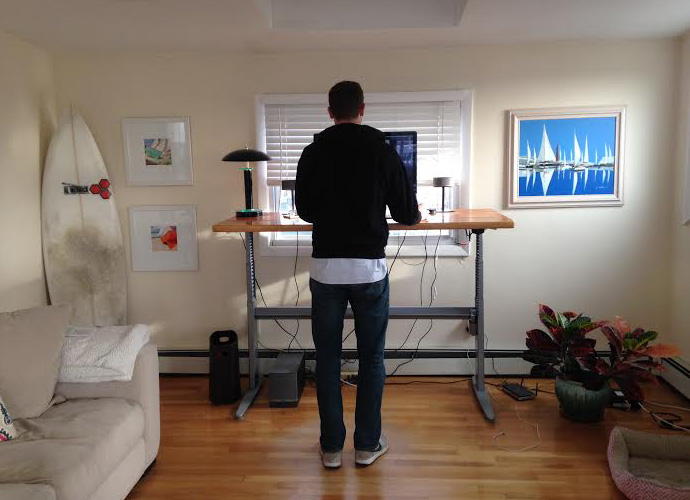 It is a great way to allow your remote staff to come and go while still feeling like a part of the office. It’s a great way for your virtual workforce to connect with other remote employees and give them a sense of community and collaboration. Employee mobility is here to stay. So whether you have employees working remote full time or part time, invest in their success. Simple updates to their office and yours will help your teams to stay connected and engaged at work or at home.